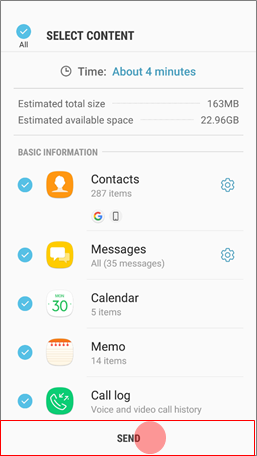 What do I need before using Smart Switch Mobile? 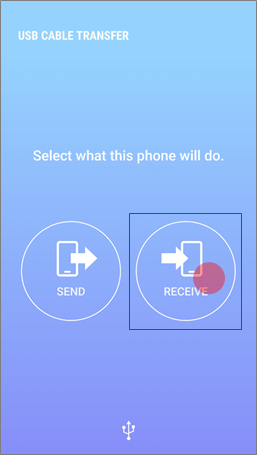 • Wireless: Smart Switch Mobile installed on both the receiving and sending device. • USB OGT Cable: (1) Standard USB cable and USB OGT connector and (2) Smart Switch Mobile installed on both the receiving and sending device. 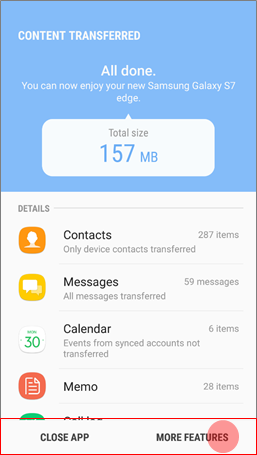 To transfer wirelessly data from an old BlackBerry device to your new Galaxy device, you will need to take action on both devices, at the same time, going back and forth from your old device to the new one. 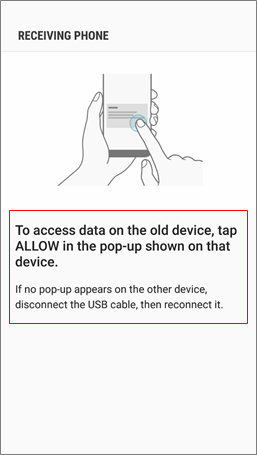 Please pay attention to the instructions as we indicated if a given step is done on your old BlackBerry device or your new Galaxy device. 1 Make sure both devices are turned and open the Samsung Smart Switch app on both devices. 2 On your old BlackBerry device, touch WIRELESS. 3 On your new Galaxy device, touch WIRELESS. 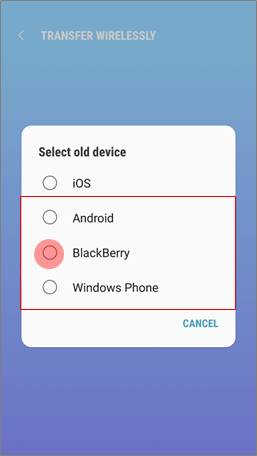 4 On your old BlackBerry device, touch SEND, as your old BlackBerry device contains the data to be imported from. 5 On your new Galaxy device, touch RECEIVE. 6 On your old BlackBerry device, touch CONNECT. 7 On your new Galaxy device, touch BlackBerry. 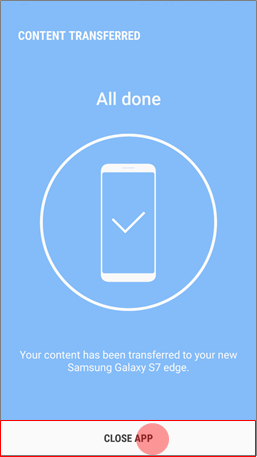 8 On your old BlackBerry device, select the content you want to transfer or unselect any content you don’t want to import from your old device. Then touch SEND. 9 On your new Galaxy device, touch RECEIVE. 10 On your old BlackBerry device, touch CLOSE APP when the transfer is complete. 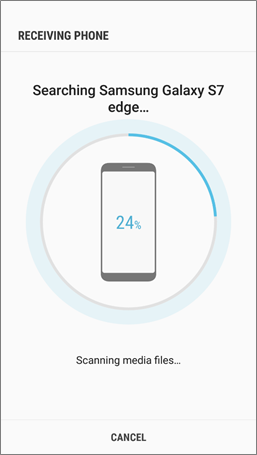 11 On your new Galaxy device, touch CLOSE APP to end the process or MORE FEATURES to access additional options. 1 Make sure both devices are turned on. 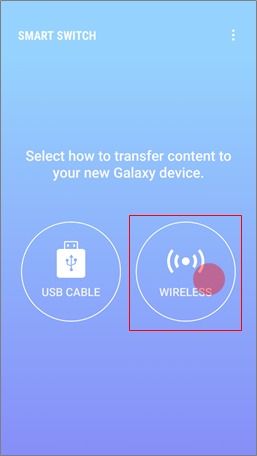 Connect a USB connector to your new Galaxy device. 2 Connect your old BlackBerry device to your new Galaxy device using the USB cable that you would use to charge your old BlackBerry device. 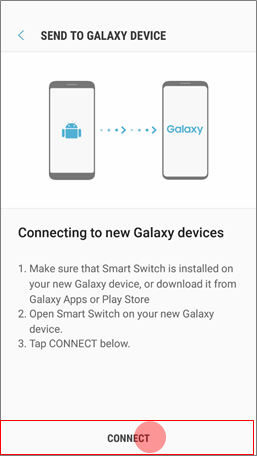 3 Connecting an old BlackBerry device to your new Galaxy device should open automatically Samsung Smart Switch on your new Galaxy device. Touch RECEIVE. 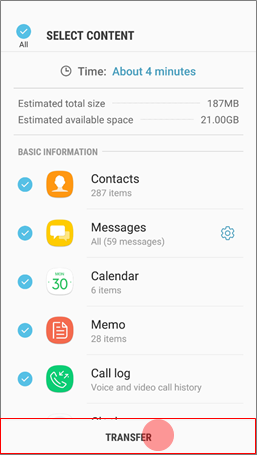 Open the Samsung Smart Switch app on your new Galaxy device if the app is not launched automatically. Then touch USB CABLE. 4 Touch ALLOW on your old BlackBerry device to proceed to next step. 5 Be patient while your new Galaxy device is scanning your old BlackBerry device and determining which content should be imported. 6 Select the content you want to transfer. 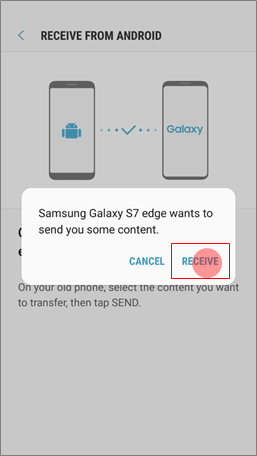 Unselect any content you don’t want to import from your old device. Then touch TRANSFER. 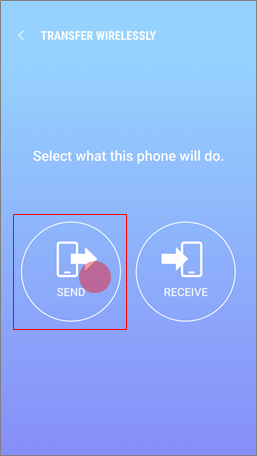 7 Once the transfer is complete, touch CLOSE APP to end the process or MORE FEATURES to access additional options. The data transferred from a BlackBerry device includes: contacts, schedule, memos, photos, videos (DRM free content only), music (DRM free content only), documents, voice recordings, and call history.